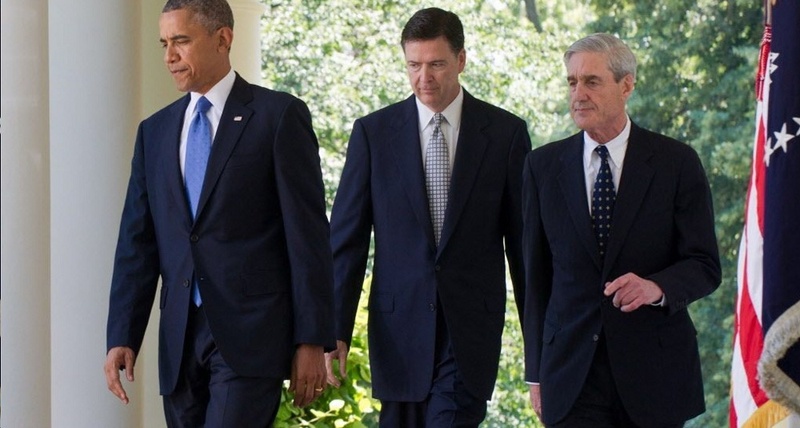 Congressional investigators and intelligence veterans have uncovered a clandestine group of anti-President Trump federal employees who have reportedly been working to sabotage the President of the United States, according to Congressional and federal law enforcement sources. This isn’t just any rag-tag group of disgruntled employees complaining at the water cooler at the post office. This ‘secret society’ wields serious clout: the type of power that can investigate enemies (see Mueller vs Trump) or take others down (see Flynn). According to intelligence officials, this secret society really is a collection of different sects, stemming from the FBI downward through various branches of government, picking up ant-Trump members along the way. And these are powerful people with the ability to punish folks who cross them. Who belongs to this secret society? They communicate with meetings over cocktails, at homes, via encrypted chat rooms, texting on drug-cartel-inspired burner phones, and even via an email list, according to sources. Others have secured phones in the names of relatives to try to stay under the radar. The Deep State at work. FBI Deputy Director Andrew McCabe is at the center of the FBI’s group, according to sources. The embattled McCabe, although minimized in his current role, reportedly participated in or green-lighted offsite gatherings of FBI brass in recent months to fend off growing scandals linked to his name and remain employed. These are FBI executives responsible for the oversight of the Bureau. And while Director Christopher Wray is by title in charge of the FBI, he simply has struggled to maintain control of the agency, sources said. McCabe associates, scattered in FBI field offices throughout the United States remain loyal to McCabe and Comey and their way of doing things. “We figure there are sixty or seventy people loyal to Andy (McCabe),” one FBI official said. “It’s nearly impossible to remove all of these agents. Many have been promoted to important roles. Just yesterday FBI Chief of Staff James Rybicki announced he was abruptly leaving the Bureau. Then ex-Director James Comey lawyered up. Then embattled Chief Peter Strzok lawyered up, hiring Hollywood mogul Harvey Weinstein’s attorney. Others have been re-assigned. The FBI is infected beyond an immediate remedy. McCabe and others in the Washington D.C. FBI HQ may have been gathering in person and online to map out a survival strategy at the FBI, according to Congressman Ron Johnson, chair of the Homeland Security committee in Congress. Johnson said Congressional investigators have a whistle blower and their intelligence mirrors that of many federal agents who are tired of watching the politicized FBI overrun by corrupt actors. There is a definite clandestine campaign underway to sandbag Trump’s presidency. But the group just got pushed out of the shadows into the light. But this has been known by Intel insiders for some time. Enough time for an Inspector General to perhaps obtain warrants for possible wiretaps. Phones. Emails. Maybe that secret society wasn’t as secret as the players thought. What is this I hear about a private meeting away from FBI HQ by high-ranking FBI agents trying to get their stories and alibis straight? @ChuckGrassley WE SEE ALL. Our reach is VAST. “We figure there are sixty or seventy people loyal to Andy (McCabe),” one FBI official said. “It’s nearly impossible to remove all of these agents. Many have been promoted to important roles." Which means it isn't IMPOSSIBLE to remove these actors NO MATTER WHAT their "important role" is. Just teleport them to Gitmo and replace them with people of service to others that WILL do their jobs according to our Rights under the U.S. Constitution of the Republic of the united states of America.